The following tea gardens / estates mentioned below comes under Darjeeling hills and Darjeeling Sadar sub-division and their teas are collectively referred to as Darjeeling Tea. Also the tea gardens of the hilly areas of Kalimpong Sub-Division comprising Samabeong Tea Estate, Ambiok Tea Estate, Mission Hill Tea Estate, Upper Fagu and Kumai Tea Estates and their teas are also collectively referred to as Darjeeling Teas. 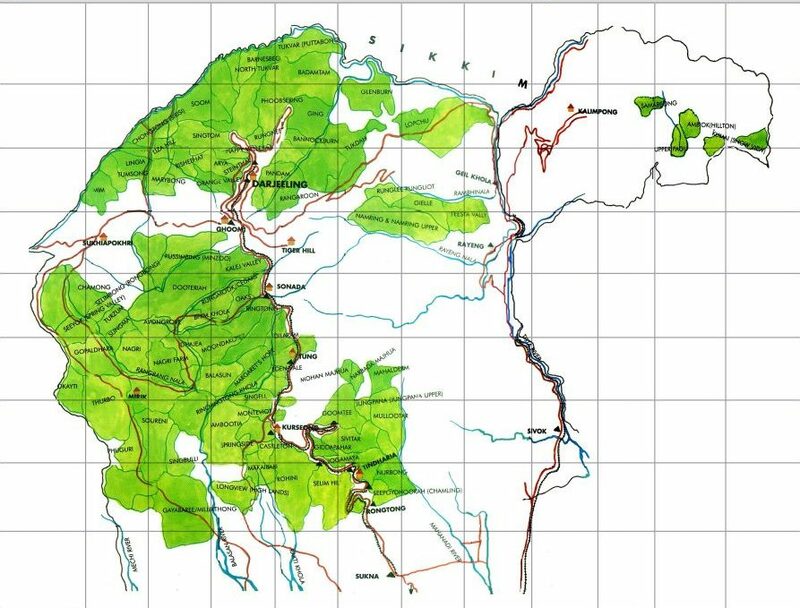 Apart from the following tea gardens of the Kurseong Sub-Division (excluding the areas in jurisdiction list 20, 21, 23, 24, 29, 31 and 33 comprising Siliguri Sub-Division of New Chumta Tea Estate, Simulbari and Marionbari Tea Estate Of Kurseong Police station in Kurseong Sub-Division) are also collective referred to as Darjeeling Teas. A look at some of the exquisite teas of the above mentioned tea gardens of Darjeeling.